Take on the city in style with the 2017 Toyota Yaris, starting at just $15,395. This peppy hatchback features room for all of your belongings, breathtaking performance, and enviable design for everything you could ever want to take on your next adventure. When you purchase a Toyota you know you are investing in quality, and that’s why over 85% of the Toyota vehicles sold in Canada are still on the road to this day. Don’t wait any longer, come see the 2017 Yaris for yourself at Sherwood Park Toyota. The 2017 Yaris comes in 3 thrilling trim levels: CE, LE, and SE. Each model features a 1.5 L, 4-cylinder DOHC 16 valve engine with sequential multiport electronic fuel injection. This generates 106 horsepower and boasts an impressive fuel efficiency rating of 7.8 L/100km in the city and 6.5 L/100km on the highway. Choose between a 5-speed manual transmission and 4-speed automatic, electronically controlled transmission. Both CE and LE models feature power-assisted, ventilated front discs, while the SE employs solid rear discs for additional performance. You never know what will happen, which is why the 2017 Toyota Yaris comes standard with a long list of safety features – so you can focus on enjoying the ride. The newly developed Toyota Safety Sense system uses advanced active technology to assist your decisions on the road. Automatic high beams sense other vehicle’s lights and switch between high and low beams depending on the situation. Meanwhile, lane departure alert lets you know if you drift outside of your lane, while the pre-collision system helps you avoid frontal collisions. 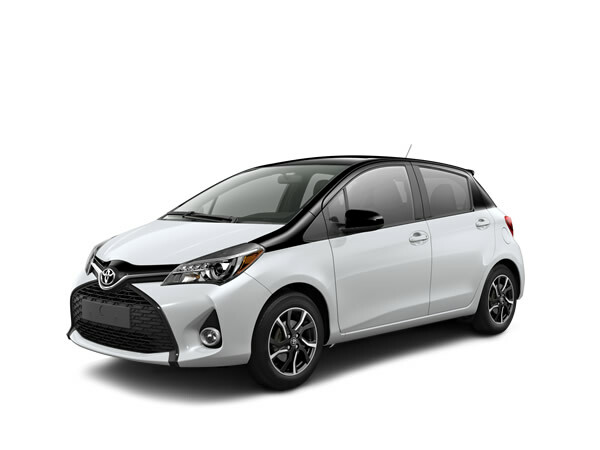 The 2017 Yaris hatchback combines Toyota’s famous quality with luxurious European design. 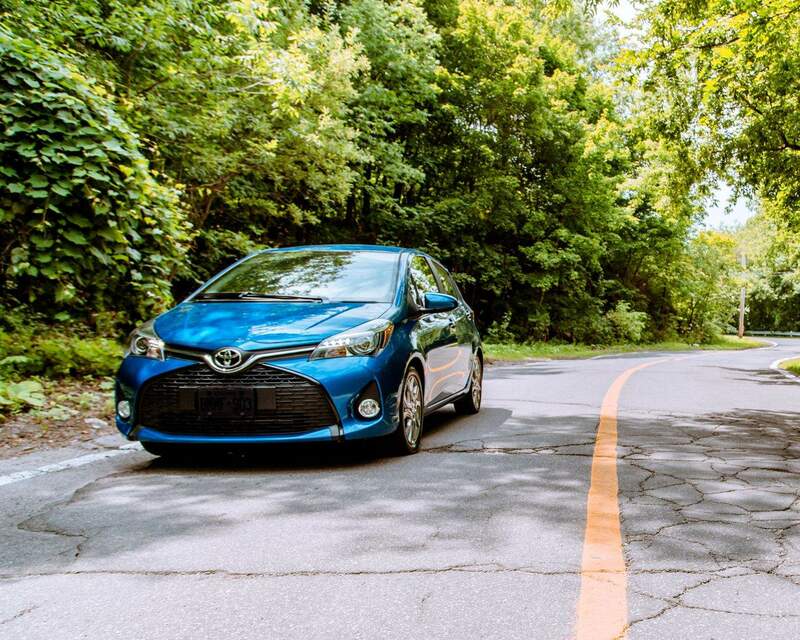 Customize the Yaris to suite your personal style with 8 exclusive exterior colors such as blue streak metallic and Barcelona red with black sand pearl accents. On the inside, 60/40 split folding seats and an accessory cargo tray offer additional storage so you can don’t have to drop everything to organize your ride. If you’re looking for a little added edge, the sporty Yaris SE is equipped with a leather-wrapped steering wheel and dark grey racing-inspired seats. The 2017 Toyota Yaris takes advantage of smart technologies to make your drive more enjoyable and safe. A 6.1-inch touchscreen display sits front and centre for convenient use and features 4 speakers. An AM/FM/CD/MP3 sound system offering USB audio input comes standard. Never take your hands off the wheel with standard Bluetooth® capability and steering mounted controls, so you can safely control your music without taking your eyes off the road. 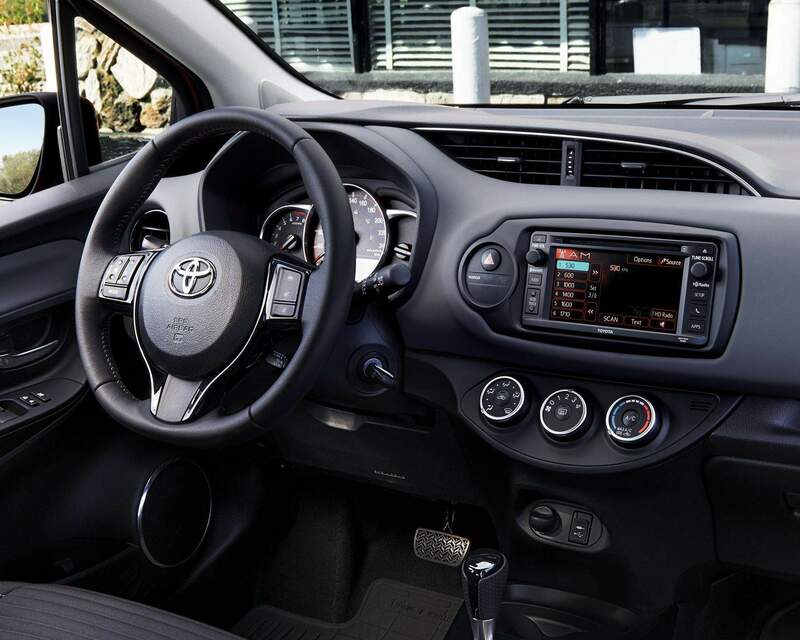 The Yaris also offers luxurious touches such as keyless entry, air conditioning, and a multi-information display. There is no better hatchback to enjoy the city in than the 2017 Yaris. 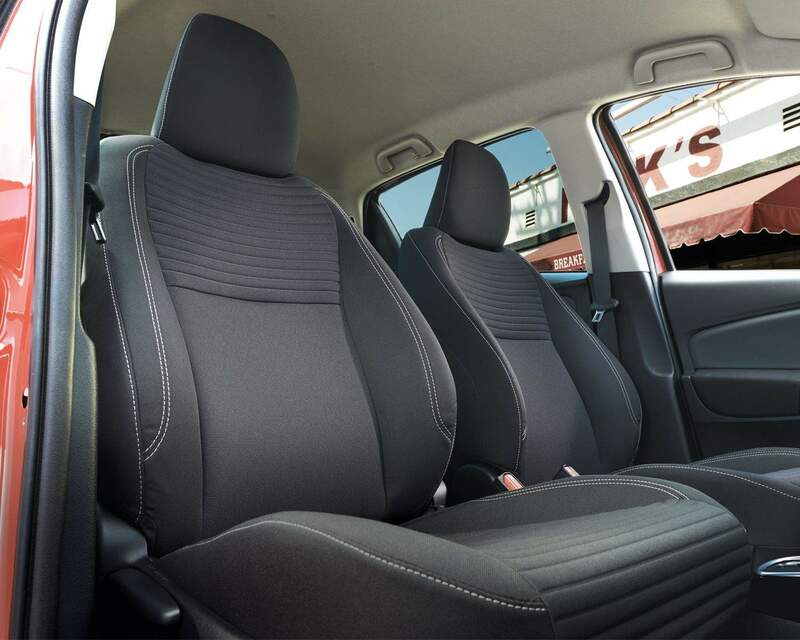 If you are looking for a reliable, affordable car with ample storage and head turning design look no further than the Toyota Yaris. Stop by Sherwood Park Toyota at 31 Automall Rd, Sherwood Park, AB T8H 0C7 today for a test drive, or call our expert Sales Staff at (780) 410-2455 for any inquiries you may have.